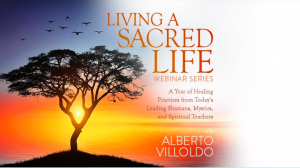 Thirteen healing practice from today’s leading Shamans, Mystics, and Spiritual teachers. on Living a Sacred Life from Hay House online training set to photos by Judith Loniak Photography and music by Kevin MacLeod. This is your chance to discover sacred keys to abundance, health, and joy and usher in a renewed personal relationship with the divine.. Tagged bliss, capabilities, divine, dreams, energy, feminine, healing, illuminating, Life, manifistation, medicine, power, prayers, sacred, soul, spiritual, things, thoughts, truth, vision.